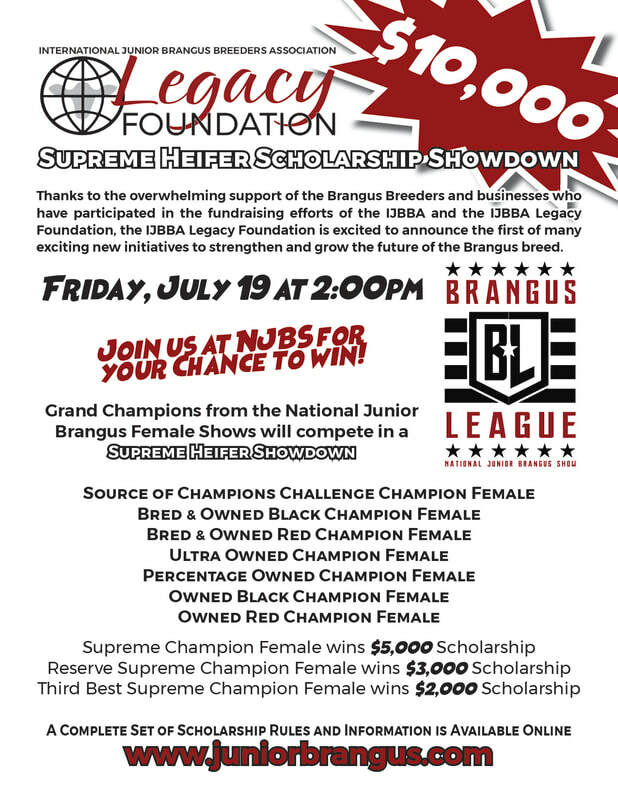 IJBBA Legacy Foundation Announces Supreme Heifer Showdown! 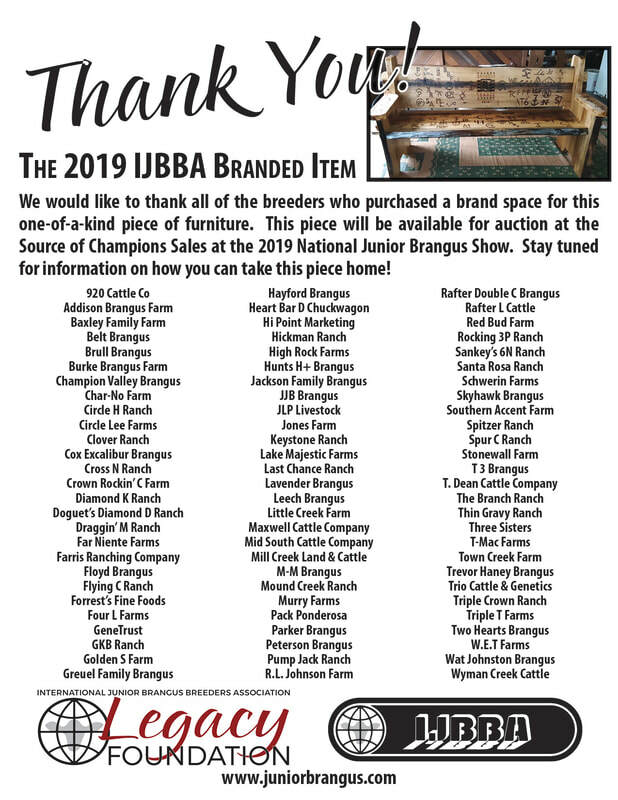 The 2019 IJBBA Breeder's Brand Item is Complete! This year’s Breeder’s Brand Item is a Bench custom built by Mr. Tom Hayford of Bonifay, Florida. The Bench is constructed of 2” thick Poplar, ruff sawn, live edge lumber with Mortise and Tenon joinery and pegs. The bench measures 5’ long, 36’ tall and 22’ deep. The bench features the 2019 NJBS Logo and Brands from 81 farms and ranches representing 15 states. We would like to thank everyone who purchased brand space! The Bench will be auctioned off at the Source of Champions Sale on Thursday, July 18 at 6:30pm. A special THANK YOU goes to Mr. Tom Hayford for custom building this piece for the benefit of the IJBBA and the IJBBA Legacy Foundation. Stay tuned for information on how you can take this piece home! 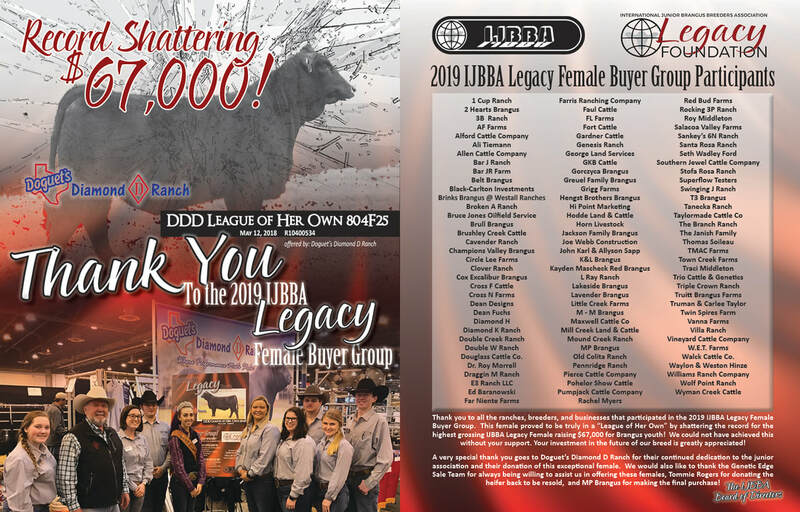 History was made in Houston this year when the 2019 IJBBA Legacy Female grossed for $67,000!!! DDD League of Her Own 804F25 shattered all previous records proving that she truly is in a "league of her own"! 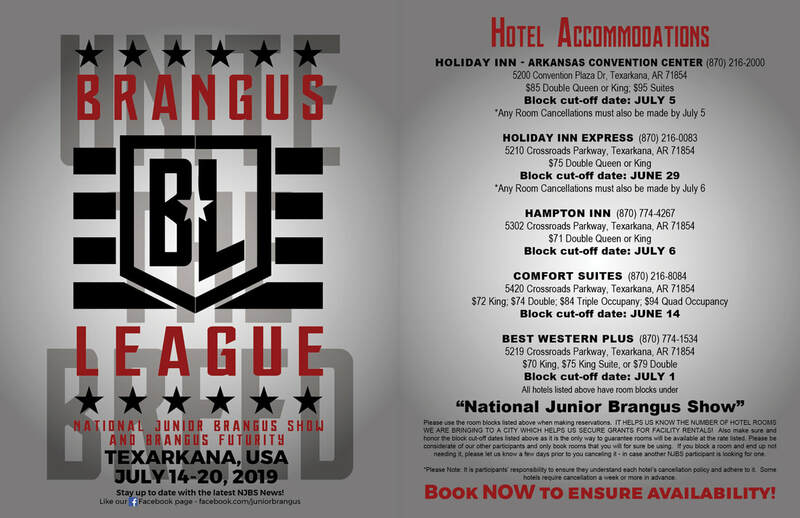 ​The IJBBA Board of Directors would like to thank Doguet's Diamond D Ranch for their continuous support of the junior program and for offering this exceptional female to benefit the Brangus Juniors! We would also like to thank all of the members of the Buyer Group who helped us raise $50,000; The Branch Ranch for having the winning ticket and deciding to donate the heifer to be resold; MP Brangus for purchasing the female and the Genetic Edge Sale Team for their help and support in selling these females every year! 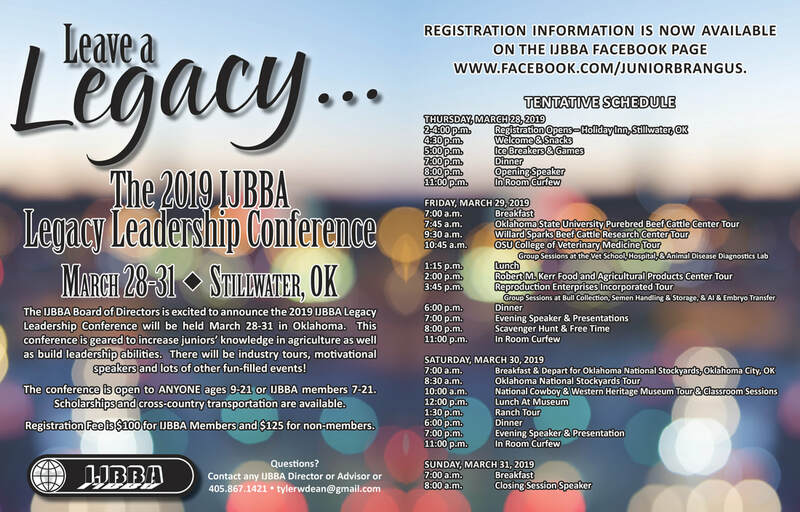 Join us for the 2019 IJBBA Legacy Leadership Conference in Stillwater, Oklahoma! Register here by February 22, 2019.